Your Online Source of Alternative Mortgage Lending – Mortgage Wars Inc.
Mortgagewars.ca has been helping Canadians with their mortgage financing needs since 2012. The mortgage landscape in Canada changed significantly in late 2017 and early 2018 as federal regulators tightened mortgage rules to help slow down the drastic increase in property values in most major Canadian cities. In response, Mortgagewars.ca evolved and changed its focus to alternative lending to ensure Canadian homeowners continue to have an opportunity to qualify for home financing/refinancing. 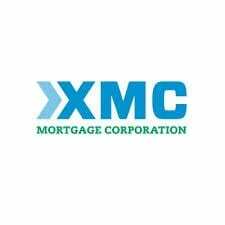 In the summer of 2018, Mortgage Wars Inc. joined Verico Ardent Mortgages Inc, Brokerage# 13023. Ardent Mortgages specializes in alternative lending, focusing on clients that do not qualify under traditional bank lending guidelines. As we focus primarily on this specific clientele, we have developed the expertise to give you superior advice to your regular broker who does not focus on this niche market. We have access to 50+ alternative and private lenders who gives us priority in their approval process as we have built great relationships with them.